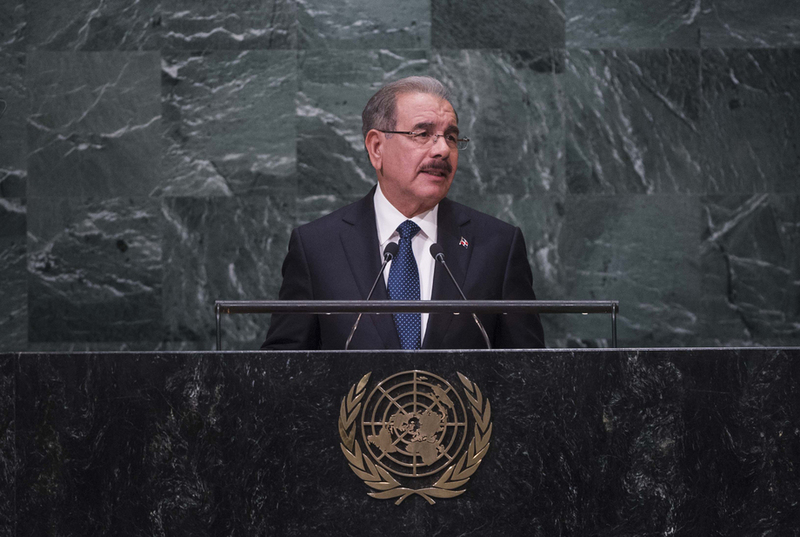 DANILO MEDINA SÁNCHEZ, President of the Dominican Republic, said that while rapid economic growth of the past several decades had lifted hundreds of millions of people out of poverty, many of those people remained vulnerable to a series of unforeseen events that could ruin their outlook for the future and return them to poverty in just a short time. That population was particularly important in Latin America and the Caribbean, where most people earned between 4 and 10 dollars a day. The challenge was to place those people in a position where they not only developed their own lives but also participated in the development of their countries. To that end, it was important to strengthen safety nets and sectors of health and education. The 2030 Agenda was a good road map to find solutions to the many challenges in Latin America and the Caribbean, he went on to say. Thus, it was important to develop strategies that ensured “the way out of poverty is a path of no return”. Those goals required adopting a series of formulas and indicators, including in the sectors of trade and financial flows. “The rules of the game between rich and poor countries must be revised,” he added. Trade should be mutually beneficial and in many cases it actually was. However, there were certain instances when large countries engaged in hypocrisy. Those countries “refuse to reduce protectionism within their borders, while in free trade agreements they would require the same from their counterparts in developing countries,” he pointed out. “They want us, the developing countries, to eliminate the protection of industrial goods, but they do not eliminate agricultural subsidies,” he continued. The agricultural protectionism practiced by rich countries allowed them to influence the market in their favour, while tariffs and trade barriers routinely excluded products from developing countries. He called on developed countries to take concrete steps to practice the ideal of free and fair trade. Industrialized countries must also agree to significantly reduce their protectionism and subsidies during current trade negotiations and ensure increased funding for rural development. The Dominican Republic would benefit, like all nations, from more stable, more predictable and better regulated financial markets, he stated. It had recently adopted anti-money-laundering recommendations, including measures on establishing greater supervision of financial institutions and greater transparency. He said that the recent ruling by the European Union, sentencing the Apple technology company for 13 billion euros in evaded taxes, demonstrated a reality many had been aware of long ago. The lack of regulation had been paving the way for evaders and making the work of tax administrations more complex.